In Royal City Vol. 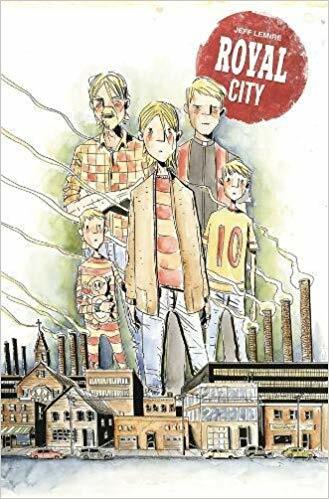 1 by Jeff Lemire, struggling author Patrick Pike hasn’t visited his hometown of Royal City, a small, failing factory town, in a long time, but when his dad has a stroke he returns to the town where his siblings and parents still reside. The ghost of his youngest brother, who drowned years earlier, is also in Royal City. Tommy’s ghost still visits all of Patrick’s relatives, and each views Tommy differently. Tommy appears as a young child with his sister, but around Patrick he’s a teenager. None of them have gotten over Tommy’s death, so they still speak with him as if he’s present and tell him about their problems, and they’re all dealing with something. 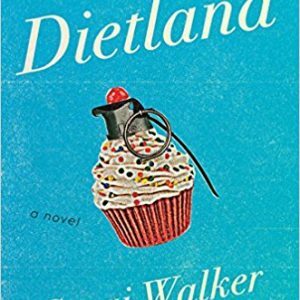 Marriage issues, alcoholism, and self doubt plague this family in this gritty drama. In volume two of this series, we jump back in time to view what happened the last week of Tommy’s life. 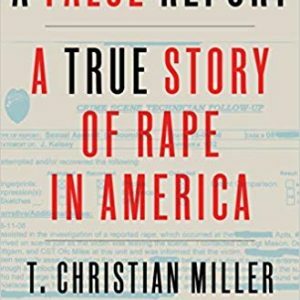 I think I like this volume more since we follow just one family member and can learn so much about him, though we do uncover some things about everyone else and the missteps they took that led them to where they are in the first volume. 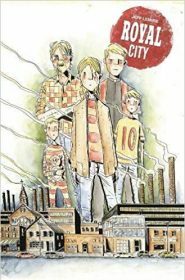 Royal City is a fabulous family drama. There is no sugar coating anything, these people are dealing with a lot, and it’s all out on the table. Some of their problems seem quite ordinary, but how they deal with them and interact with Tommy’s ghost is what’s so fascinating here. The most fascinating thing for me, though, was the visual storytelling. Muted coloring adds to the grittiness of this story, a wide variety of panel types and full-page spreads blend perfectly, and the artwork itself shows so much of the grief this family is feeling. It’s really wonderful. I vowed after reading this to read all of Jeff Lemire.